Today Nissan announced the donation of $250,000 to six local Historically Black Colleges and Universities to promote science, technology engineering and mathematics initiatives at each school to inspire and develop talent. To date, Nissan has invested more than $1 million in local HBCUs – half of which supports STEM-specific curriculums. At Nissan’s Canton Assembly Plant, Rep. Thompson and Nissan executives presented representatives from Alcorn State University, Coahoma Community College, Jackson State University, Mississippi Valley State University, Rust College and Tougaloo College with resources to support their programs. “These six institutions have leading academic programs and offer their students valuable experiential learning. Nissan is proud to further our commitment to these HBCUs with an additional $250,000 grant this year,” said Jeffrey Webster, director of Diversity and Inclusion. Resources provided to each institution will be used to promote STEM-related programs and departments, including applied sciences, engineering, math, computer and information science. 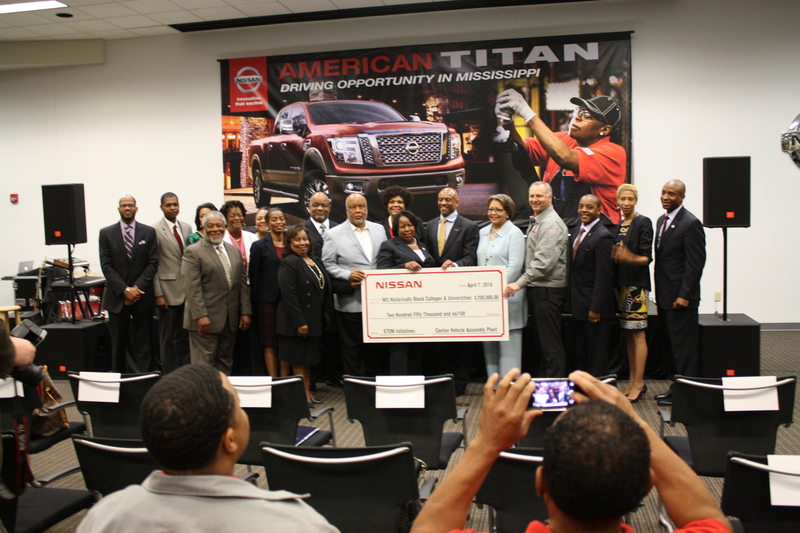 The donation of $250,000 builds on the success of Nissan Canton’s ongoing partnership with the HBCUs. • In March 2013, Nissan donated two robots to Alcorn State University’s Advanced Technologies Program, which gave students first-hand experience with the kind of technology used in manufacturing facilities. 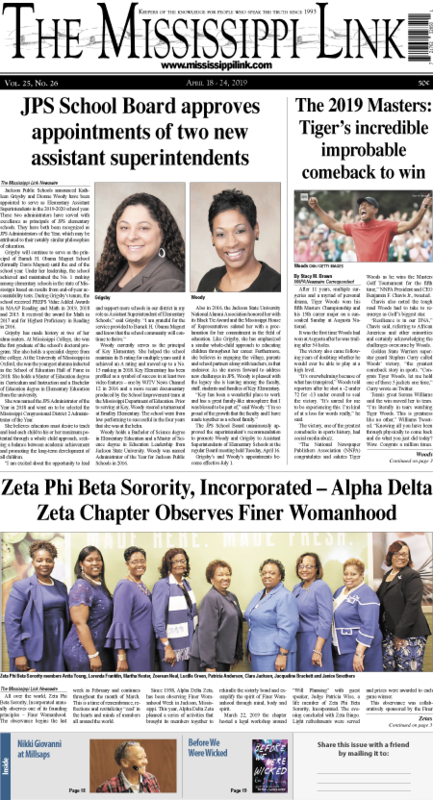 • With its 2015 HBCU donation, Tougaloo College was able to purchase a nuclear magnetic resonance spectrometer and make improvements to two STEM laboratories. 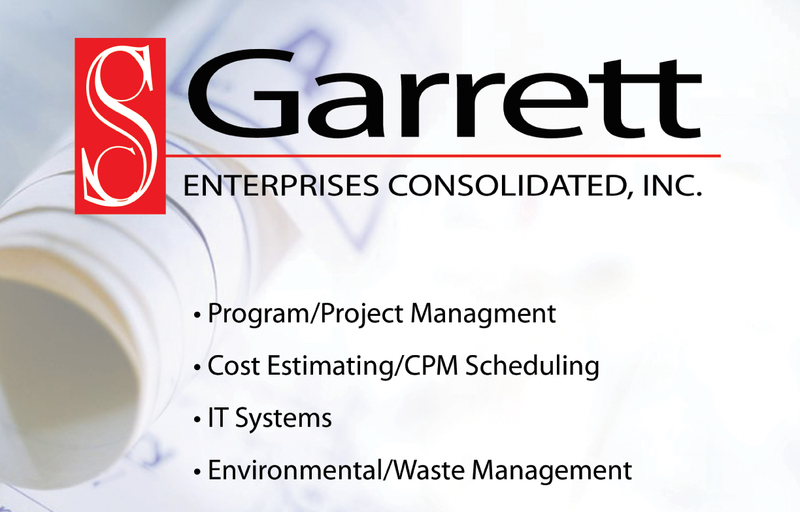 • Mississippi Valley State University purchased high-tech software and equipment to prepare their students for success in STEM careers. 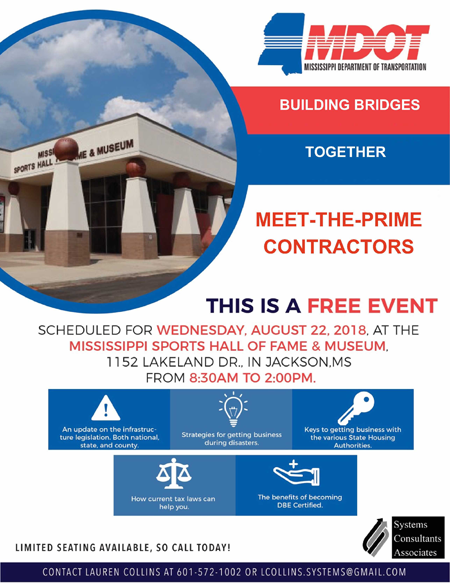 To learn more about Nissan’s support of the Canton, Mississippi community, visit http://www.nissan-canton.com/.